This storybook provides an overview of the Farm to School movement in Canada. Stories from across the country are featured, showcasing the diverse models and players, and highlighting the reasons why so many people are drawn to this approach. It is intended as a resource for school champions, food system advocates, policy makers, funders, and all who aspire to change school and regional food systems in order to get more healthy local foods into the minds and onto the plates of students. Beautifully designed, with pictures and videos embedded to better express the overall value of Farm to School. There are milestones in movements. Milestones may represent a critical number of people engaged, a breadth of interest across sectors, or key enabling decisions. 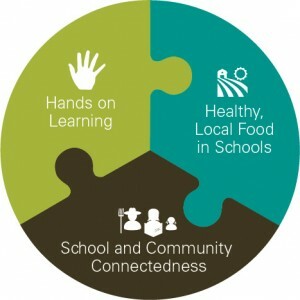 The Farm to School movement has grown rapidly from a few isolated initiatives in different parts of the country a decade ago to a collection of provincial networks, linking together hubs of activity. More recently, these provincial networks have joined together to form a national one: Farm to Cafeteria Canada. 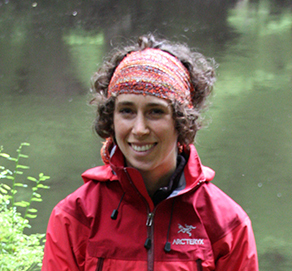 A national network enables exciting steps in any movement. With Farm to Cafeteria Canada’s leadership, this year marks three firsts for Farm to School and for innovative school food practice: the first national conference focused on School Food, the first national video celebrating Farm to School, and the first national book published to capture the stories of its many players. These events and resources unite activities and efforts to get more healthy, local and sustainable food into the minds and onto the plates of students. The Storybook and Video feature only some of the hundreds of initiatives and ideas taking root across Canada. As of publication, our initial mapping exercise had highlighted 693 schools engaged in Farm to School activities, representing 678,709 students! While the communities may be at differing stages of implementation, the featured stories show how each initiative aims to include the three core elements of Healthy, local food; Hands-on learning; and School and community connectedness. Many who are already part of this rapidly growing movement will recognize stories of colleagues and friends. For those who are new to this approach to healthy, local, and sustainable food in schools, the storybook offers ideas and inspiration for every context. Whether from Haida Gwaii BC or St. John’s Newfoundland, or even a story about the successes in USA, these stories showcase the diverse models and players, and highlight the reasons why so many people are drawn to Farm to School. The stories highlight the many entry points that exist. Action can begin with one teacher in rural Alberta who starts a cooking-from-scratch meal program for all 1000 students at three schools, K-12, with foods prepared entirely by high school students. It begins with a school food provider and community partners choosing to re-envision food service and food education on the Avalon peninsula in Newfoundland. It begins with innovators who develop systems to aggregate locally grown foods and deliver them to schools in Eastern New Brunswick. It begins with schoolyard farms and youth leadership in the urban jungle of Toronto. Farm to School is everyone’s movement. Every parent, every farmer, every teacher, every student, every level of government, and every funder has a part to play. 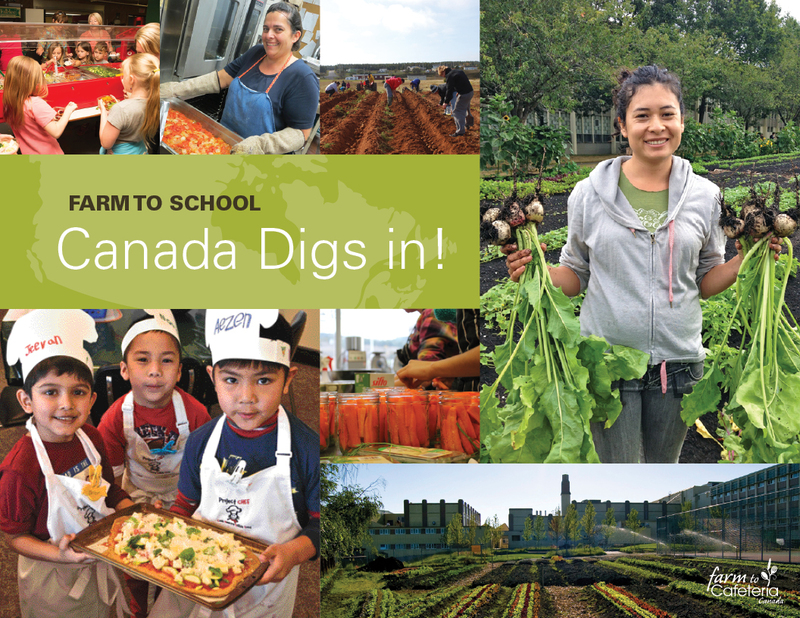 To grow and strengthen Farm to School across Canada, actions and funding are needed at all levels, from the grassroots school initiatives to national level coordination. A key requirement is a national school food program that has as its goal healthy local sustainable meals for students every day. Additionally, institutional food procurement policy, hands-on food and food systems based education, as well as training, equipment and time for school staff are needed. What milestones has Farm to School reached? The reach of initiatives across most of the country, the diversity of approaches, and the breadth of stakeholders all speak to the success of this movement. Now is the time to build on these successes to get more healthy, local and sustainable food as well as food-based education into every school across the country. The national conference, storybook and video that celebrate, showcase, and unify will certainly help to increase the cohesion and relevance of this work. Farm to Cafeteria Canada will continue to amplify these efforts right across Canada to realize vibrant and sustainable regional food systems that support the health of people, place and planet.